SKU: 2012092. Category: Commemorative, Slim Jims. 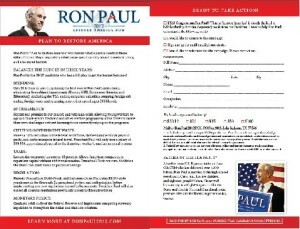 Spread the word about Ron Paul’s Plan to Restore our country with this important new issue card. Ron Paul’s bold economic plan promises to restore the federal government to its former Constitutionally-limited, smaller-government and less-burdensome place. The plan cuts $1 trillion in federal spending during the first year of a Paul Presidency and delivers a balanced budget in year three. Packaged in shrink-wrapped stack of 100.